Hello my crafty friends! I hope everyone had a wonderful weekend. Today I have a gorgeous Princess Cinde Shaker card to share with you. The beautiful pumpkin shaker card was cut using my Cricut Explore with an SVG file from My Treasured Kutz (MTK) (Pumpkin Carriage Shaker Card) I love this pumpkin carriage card file so much because not only does it come with the base of the card but it also comes with the pieces to make the shaker. After all the card pieces were cut I inked the edges of some of them with American Crafts Pigment Ink and a disposable lip applicator to give it a distressed look and attached the pieces using Elmer’s Craft Bond Permanent Tape Runner and Scotch Quick-Dry Adhesive. Now on to the shaker itself. 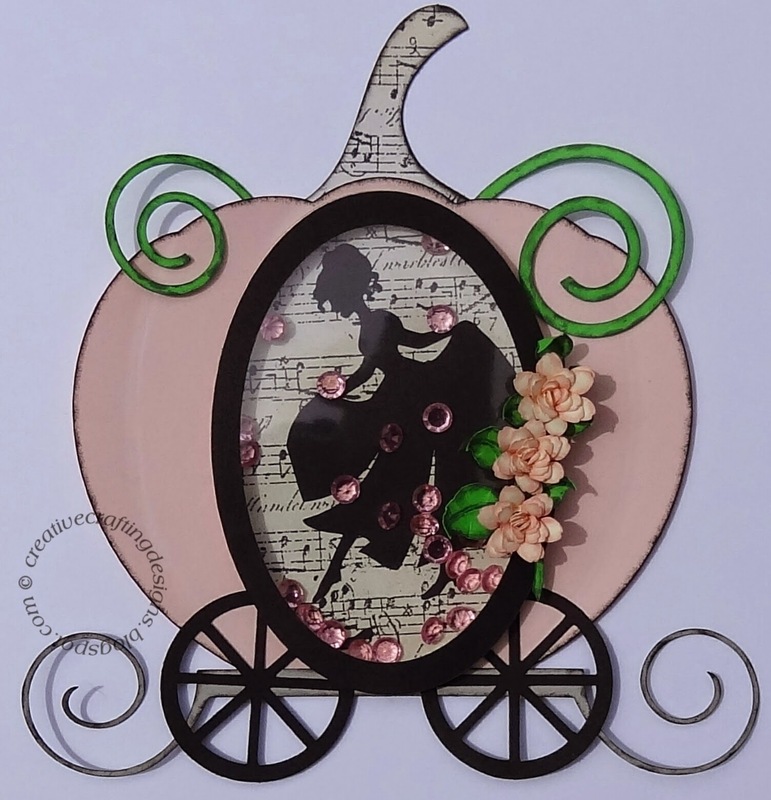 The Princess Cinde silhouette was cut with my Sizzix big shot using the Princess Cinde metal die by MTK. I filled the shaker with little pink crystals from my craft room stash. I used Elmer’s Craft Bond Foam Mounting Tape and Elmer’s Craft Bond Permanent Tape Runner to put the shaker together. Aren’t these flower beautiful? The flowers and leaves were both cut using MTK dies (Miniature Dahlia Flower and Leafy Branch). I inked the flowers and leaves using American Crafts Pigment Ink and a disposable lip applicator. 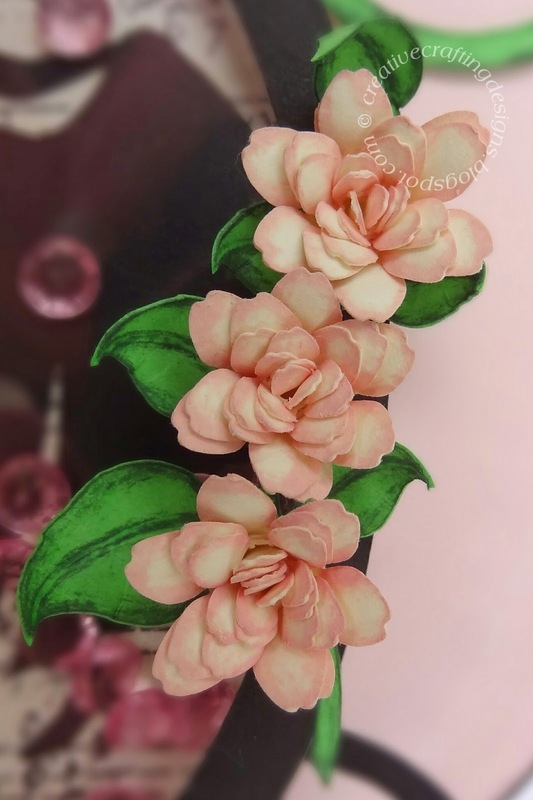 I then used a stylus tool to shape them and finished up the flowers by using a quilling tool and Scotch Quick-Dry Adhesive. 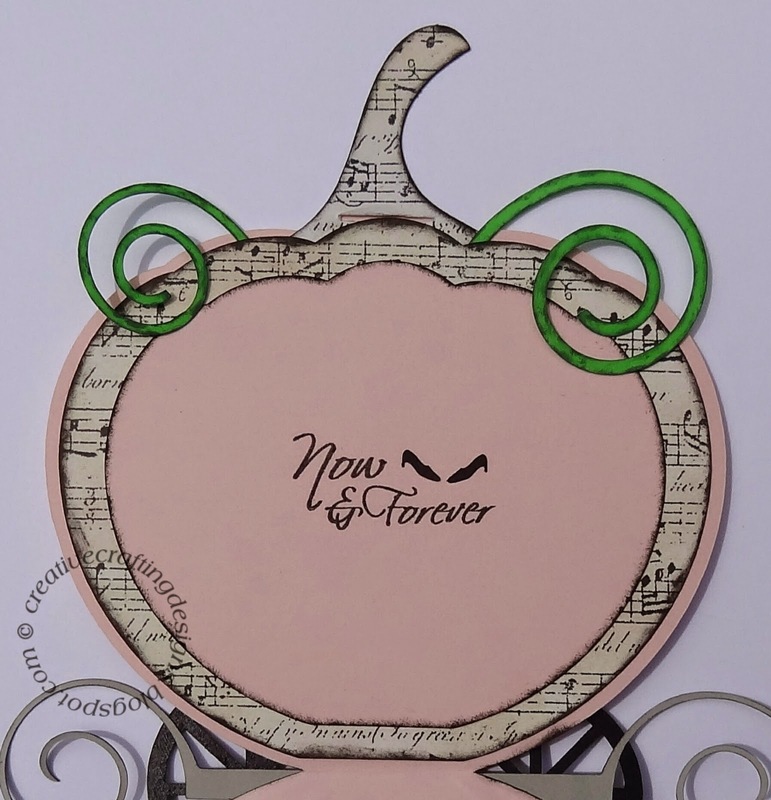 I stamped the inside of the card with the sweet saying “Now & Forever”. The stamp came from my favorite stamp company Craftin Desert Diva’s. The stamp set I used is the Simply Said set which is one of my favorites because it can be used for so many different types of cards or craft projects.